This week was supposed to be No-Crayon-Physics-Posts week, but apparently that’s just impossible. Just today I received seven new levels to Crayon Physics. And here there are. First off all we have a great level pack from Tracy. 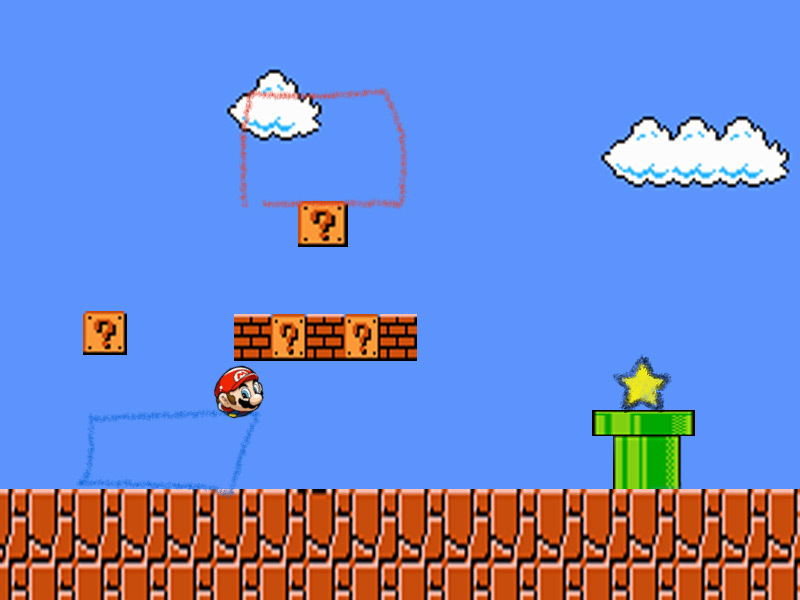 The level pack includes three new levels and a new end level. 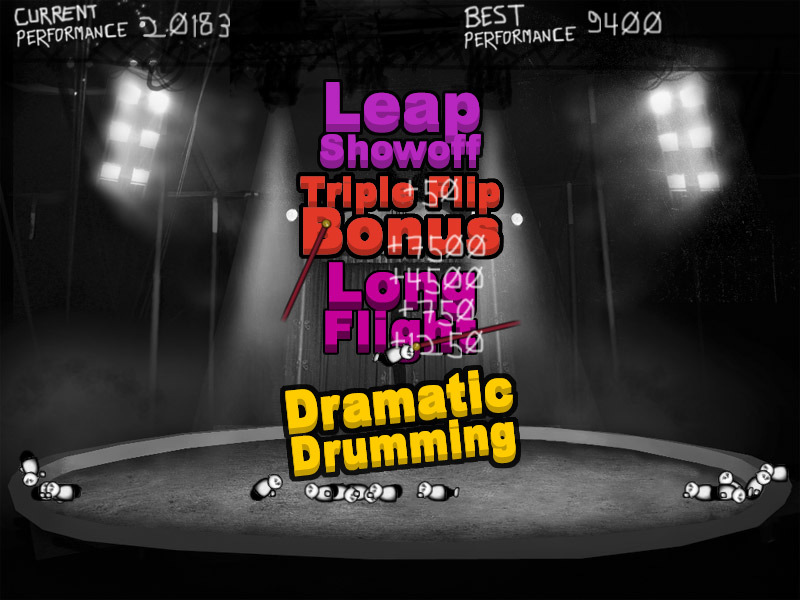 The levels are very much in the style of the original game (just check out screenshot). The level pack can be downloaded from here. Then we have the Bros level pack from the veteran Crayon Physics level designer: logr. 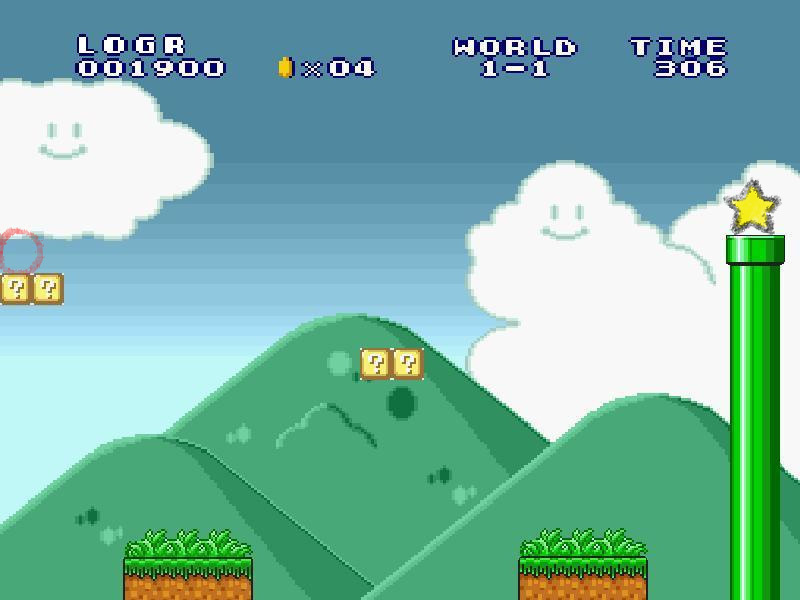 The level pack includes two new levels, very much in the style of Super Mario World. The level pack can be downloaded from here, but it requires a bit more engineering to get working. Edit 6/6/2007: logr just released another level, called horizontal. It’s pretty cool and original. And turning your monitor 90 degrees helps a lot in completing the level. Horizontal can be downloaded from here. 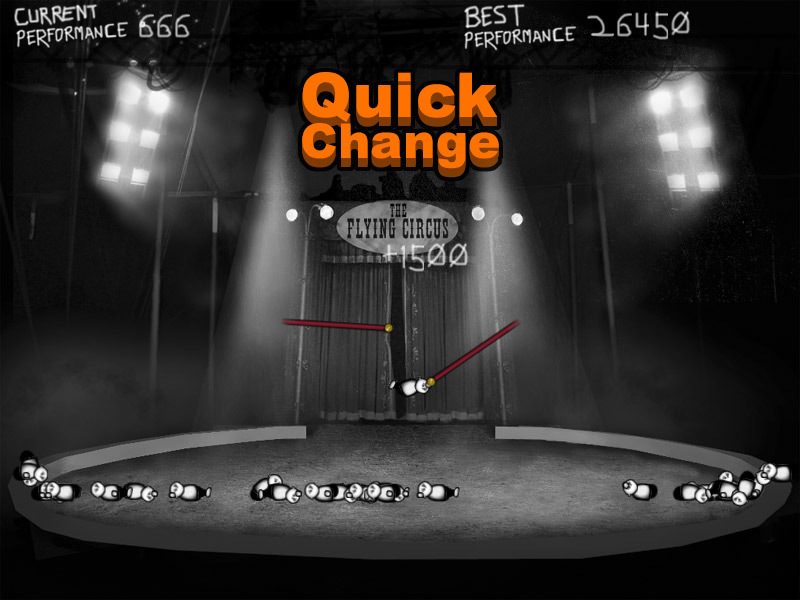 And also Ichabod has created a new level for the game (his previous level being the blackboard -level). 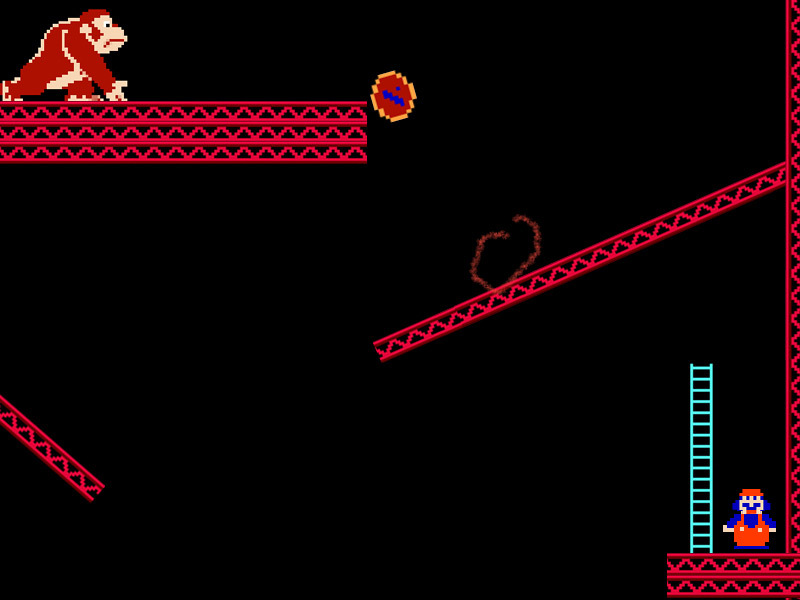 The new one is in the style of Donkey Kong and the object of the level is to get the barrel (ball) to hit Mario (star). Very clever. You can download Ichabod’s newest level from here. And like that’s not enough I also bumped into a total conversion mod for Crayon Physics by Jak of X-Tray. It’s also a Super Mario themed conversion, and it’s pretty fun. There’s a custom title screen and Super Mario Bros music. It can be downloaded from here. It only has one level, which a bit of a shame, but I hope Jak continues to work on it. And if I may be so radical, I suggest that logr, Ichabod and Jak should unite their powers and do a total conversion for Crayon Physics. I mean all of their levels are more or less Mario themed and when combined they would already have four or five different levels. And as a very special treat we also have the first ever Crayon Physics speed run. Well I’m not really sure it’s a speed run, but there’s the solution to the original levels. Anyone who reads this blog (that would be you) knows how bad I am at this rapid blogging thing. Actually I think that nobody really reads this blog, you all just came here for the games, but anyway. So in order to sharpen my blogging skills I present you some cool news I just bumped into. Just little over a week ago Kyle Gabler (of Experimental Gameplay Project fame) started the 2D Boy -blog, which is a development blog about their game: World of Goo. Ever since I heard about Kyle’s new company I’ve been meaning to write a blog post about it. But since my blogging skills aren’t really known for their speed, it’s taken me a little while to get around to it. Now I finally have the perfect excuse to do it. Even though it’s a really fresh blog, there’s already a bunch of interesting posts. I recommend you read his game design rant about the difficulties of trying to stay objective when creating something you love (a game or any other piece of art). And there’s also the nifty Human Brain Cloud -project, which is a MMOWAG (Massively Multiplayer Online Word Association Game). So apparently Kyle’s blogging skills are as fast as his game creation skills. Which disproves my theory that rapid prototyping and rapid blogging skills cannot exist in the same physical body. If you want proof of that theory just look at my blog or Martin’s, or the Experimental Gameplay Project’s. It’s hard for me to believe that this is already my eleventh experimental done-in-under-a-week game. This is a new take on the one button design challenge (previous one from me being Moo at the Moon). And as usual the game is open to harsh critique. 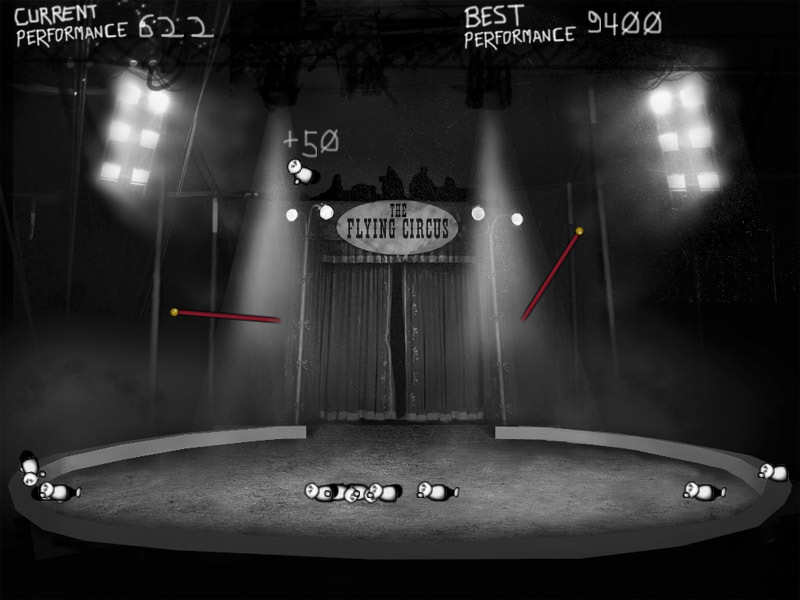 You play as the infamous flying brothers as they try to perform the flying trapeze act. Only left mouse button is needed. Click it to release your grip. Try to aim for the other swing. Hold left mouse button down to accelerate or to slow down. If you press down, when going down you’ll accelerate. If you press down when going up, you’ll slow down. Music: Pride of the 48 Band – Thunderers March. Graphics: The background image is composed of the following images: Ringmaster-clown by RebeccaMacK used under the Creative Commons Attribution-NonCommercial 2.0 license and of In the ring by Elsie esq used under the Creative Commons Attribution 2.0 license. 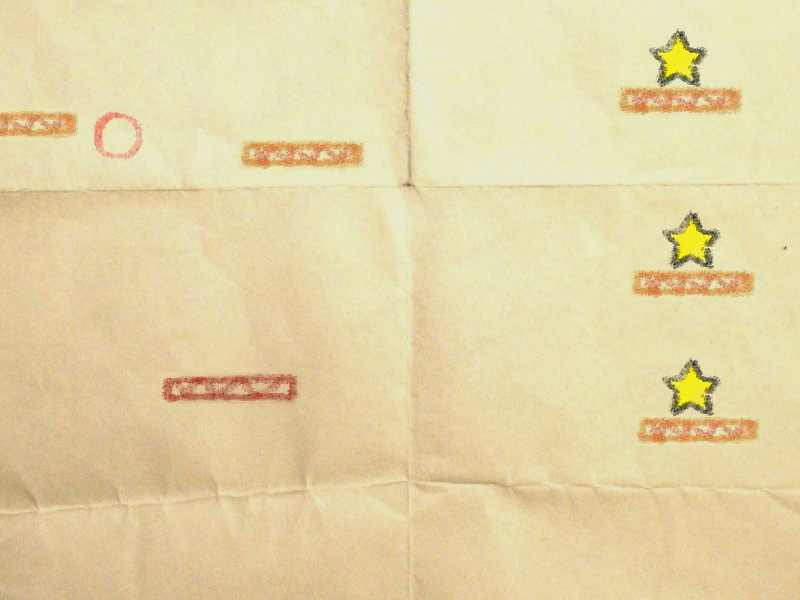 You are currently browsing the Kloonigames weblog archives for July, 2007.